You can see MORE Today's Flowers at Sacred Ruminations. 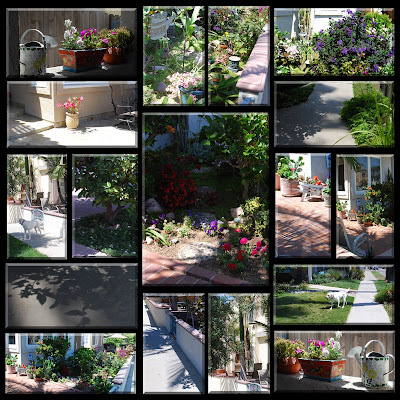 Beautiful garden & flowers - are they yours? Delightful, lovely collage's of shadows! Marvelous colors! A real treat for the eyes! Happy SSS! Overall, I prefer the lighter backgrounds. So many great shadows. I just love your quote for today! So very true! To be truthful..I like every one of them..Beautiful. Happy SSS. I go for the simple black background - but a stunning collection anyhow! Your collages are like candy for the eyes. They are beautiful, thanks for sharing. They are all beautiful! Great collage of wonderful flowers and arrangements! nice job! you're so creative! It's so difficult to choose a favorite -- all three look great. But if I have to pick I'll take the last one. I am going to have to learn how to do those!! I like the one in the middle - and the images are varied and beautiful! My flower post is here: Carletta’s Captures. Great shots! I loved the subtle variations that you created between the versions! Storyteller,Great photos.thank you for sharing them. 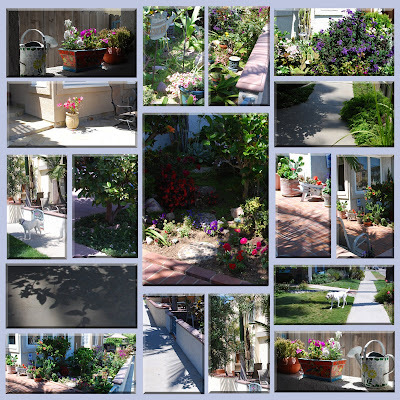 I love how you arranged the photos and what a wonderful assortment of potted flowers. Your patio must be such a haven. everything is so fresh and lovely! Very clever! I like the black borders best. Very nice template for showcasing your flowers. Great job on the collage. I remember you writing about your photo elements class. Very lovely indeed! These are sweet! I have been meaning to ask for a while now what editing program do you use to make these? Nice neighbourhood with so many plants and shadows. I like the white background best. It makes them stand out more. As always I love your photos and the way they are presented.